Harrismith is a town steeped in history with many battlefields, cemeteries and historic monuments dating back to the Anglo Boer War. A 250 million year old 33m fossilised tree, can be found in the Deborah Retief Garden next to the Harrismith Town Hall. There is a range of accommodation in Harrismith. Bed and Breakfasts in Harrismith are popular for those on business or wanting a short stop over. For those who like being self sufficient, there is always the option of self catering in Harrismith. The nearby Sterkfontein Dam Nature Reserve is a yachtsman's paradise due to the prevailing winds in the area. 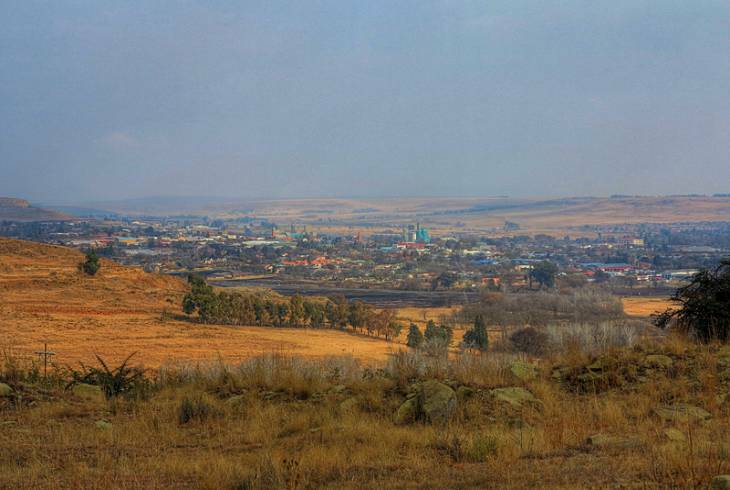 Harrismith is an ideal place from which to explore the scenic countryside and return to the comfortable accommodation available both in the town and surrounding area. Harrismith was named in honour of the British Governor Sir Harry Smith. It's location was chosen for its strategic position as the halfway point between Johannesburg and Durban, and because of its direct access to Bloemfontein and the Cape. Harrismith overview. Harrismith Accommodation and Information.